Peace Boat programs are open to students and life-long learners from the US and around the world! Peace Boat’s voyages are one of the most creative, unique, and impactful peace-building initiatives in the world, and offer an amazing opportunity for travel-based experiential learning around the world. In addition to joining our scheduled programs, students and faculty of any academic level and life-long learning groups are invited to work with us to develop a custom program based on your schedule requirements and thematic interests, and our regional and global itineraries. This program will take place during the South America segment of Peace Boat’s 100th Global Voyage, and is geared toward young people (18-30) who are actively working to advance the UN SDGs. Peace Boat’s Global University will organise a 21-day intensive course on “Building Peaceful and Inclusive Societies Together in Asia” from August 3 to 23, 2019. The programme will take place on Peace Boat’s East Asia Voyage, which will visit 12 cities in Japan, South Korea, and Russia. Students and young professionals from across Asia will come together to learn from the region’s past and present, and to discuss visions and actions for a peaceful and inclusive future. This program is offered by our partner organization, Japan-based Peace Boat. Space for presentations, seminars, meetings, and dialog while at sea, in addition to the conveniences of a full-size passenger ship. 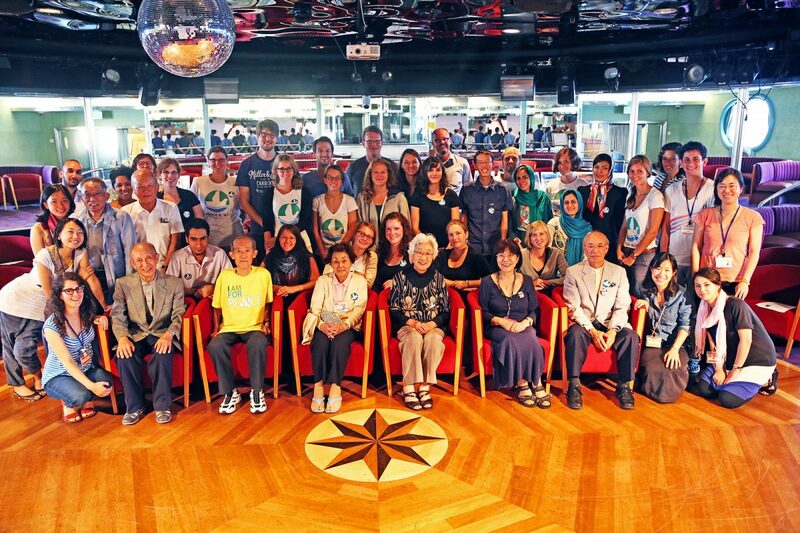 Immersion in the unique microcosm of Japanese society with a vibrant international component onboard the Peace Boat. Travel to many destinations that enable first-hand experiences in ports of call, learning directly from local people how global issues make local impact and their creative, constructive responses. Access to Peace Boat’s extensive onboard education programs and the guest educators – activists, academics, journalists, artists and others – from Japan and many other countries. Many events, activities, and gatherings organized by participants themselves. Language and cultural support that enables a close connection with the mainly Japanese community onboard. Pre- and post-voyage programs that can include study materials, assignments, internships in Tokyo or New York City, and other components to help participants maximize their experiences. Students and activists from Japan, Iran, Germany, and the US. There are many ways individual students, academic groups, life-long learners, and travelers can join Peace Boat voyages. We work with academic institutions to create custom programs for student groups; individual students can join voyage segments related to their field of study; life-long learners will find all aspects of traveling with Peace Boat to be engaging and enjoyable. 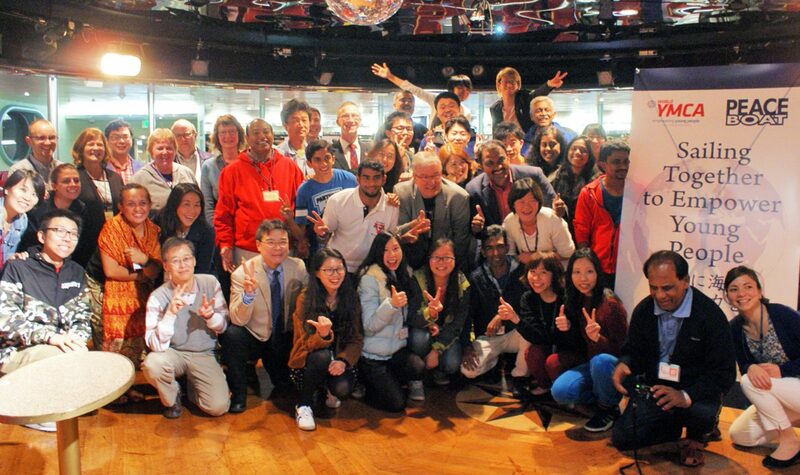 Peace Boat and Peace Boat US coordinate extensive and rich learning opportunities onboard through the invitation of guest educators from Japan and around the world. They are activists, journalists, academics, artists, and other experts who guide our learning as we travel from port to port, encountering different issues. Immersion in the onboard community – primarily Japanese with a vibrant international contingent – is always one of the most amazing experiences. Ports of call are where knowledge meets – and is confronted, tested, challenged by – reality. In every port of call, Peace Boat organizes a selection of programs that focus on experiential learning, cultural exchange, activism, advocacy and dialog. Peace Boat US programs in ports of call can also be custom designed to meet the specific needs of participants. Additionally, programs oriented toward sightseeing and lighter cultural encounters are also available. 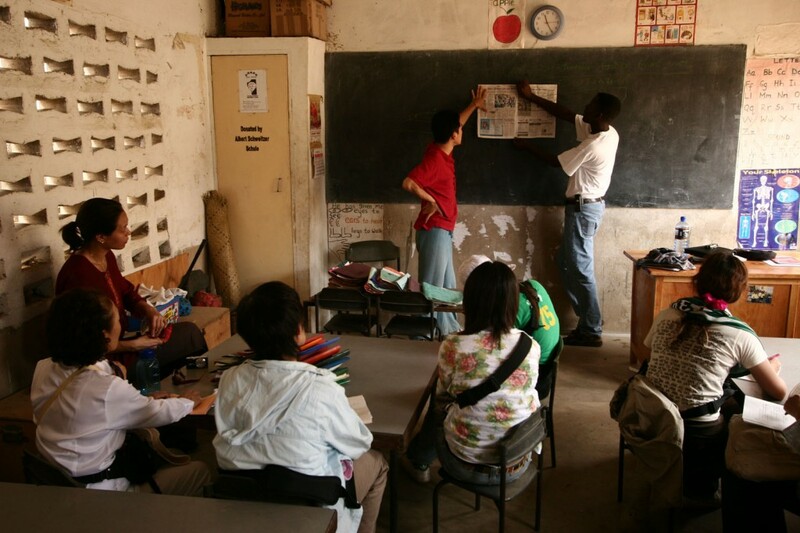 Participants visit a primary school on the outskirts of Mombassa, Kenya. 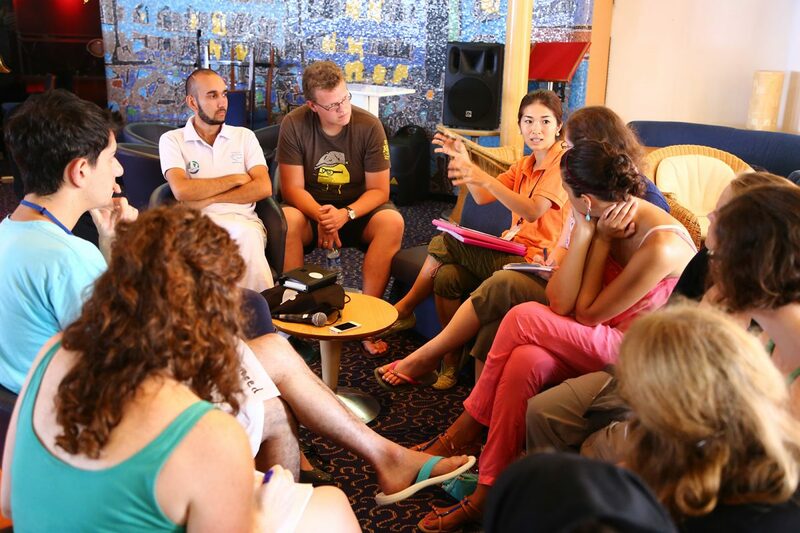 Academic group: for a seminar or specialized study program, Peace Boat US works with you to design a program with pre-departure, onboard, and in-port components that fits your academic schedule and meets your subject and experiential needs. Programs can be designed for high-school students, college and graduate students, certificate programs, and life-long learning. Academic individual: our programs provide an exceptional platform for a research or independent study project focusing on a topic and region which Peace Boat visits, including subjects like NGO/NPO administration, development, or languages. Peace Boat’s onboard programs, comprised of guest educators and various events, are also excellent learning opportunities. Individual or group travelers: does the most unique experience possible appeal to you? Are you interested in traveling with a microcosm of Japanese society while visiting different countries and learning at a pace and direction that you decide? Professional: the Peace Boat offers an exceptional space for a professional gathering, offering both closed spaces for meetings and a unique onboard community for socializing and learning. The degree of integration between your program and the onboard programs is completely up to you, and supported by Peace Boat staff on land and onboard. The first step to coming onboard is to Contact us. We look forward to discussing possibilities with you! Students from Tubingen University in Germany onboard with Hibakusha, exploring history and healing.